Longtime California resident Mary “Peg” Haapa, who along with her husband Arvo “Hop” published the Newport Harbor Ensign newspaper in Orange County from 1948-1978, passed away peacefully in Windsor on Nov 8. Peg was born June 11, 1917 in Warren, OH to Arthur & Bernice Bonham Pergande. She graduated from Ohio Wesleyan Univ. and met her husband while both were reporters for the Columbus Citizen. 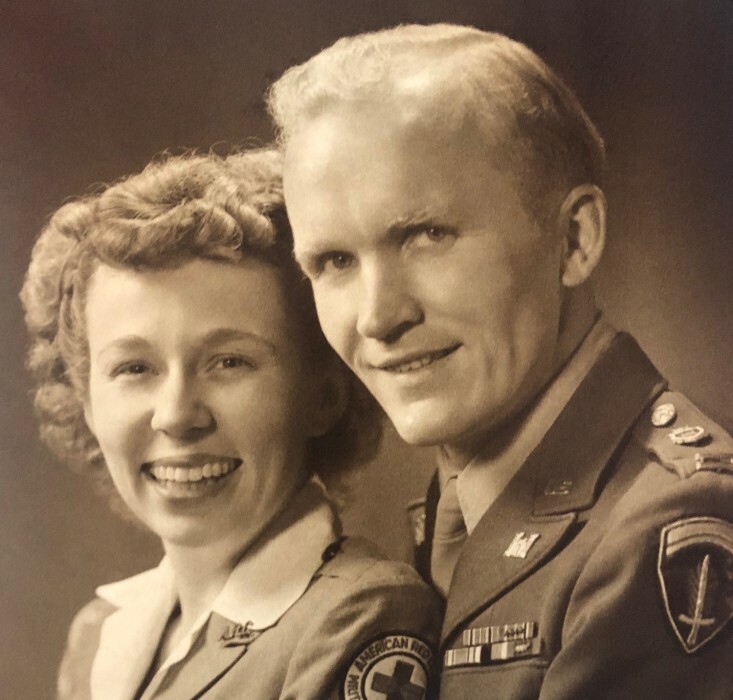 During World War II, Peg ran American Red Cross clubs in England, France & Germany. As a single young woman, she crisscrossed war-torn Europe and even hid out with the French Resistance to date Hop, a US Army Captain stationed in Germany. She boasted that she joined the war effort first, saying, “I blew him a kiss and said, ‘I’m off to fight the war. Wait for me, dear’” and added, “He chased me until I caught him.” Married in England, they lived in Berchtesgaden, Germany for 2 years to help with the transitional government after Hitler’s fall. After the war, they decided to start their own newspaper. During its 30-year run, the Ensign was designated “The Official Newspaper of the City of Newport Beach.” Their most famous subscriber was John Wayne. Hop died in 1984, but he and Peg had great adventures in their 6 years together after selling the paper. Peg made every moment count, enjoying great friendships, spending time with her children, grandchildren and great- grandchildren, and reading the Press Democrat every day of her nearly 10 years in Windsor. She will be remembered for her zest for life, love of friends and family, and deep abiding faith in God. Peg is survived by her daughters: Karin Puleo (Steve), Windsor and Bonnie Denmark (David), Brewster, NY; grandchildren: Bonnie Gembrin, Macy Engelbert, Jordan & Jake Puleo, and Ryan & Sophie Denmark; 6 great-grands (2 more on the way), and dear nieces and nephews.